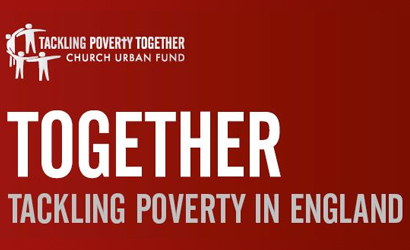 This Sunday (June 22) has been designated by the Church of England as Poverty Sunday; a day to pray and reflect on issues of poverty in this country and how churches and individual Christians respond. Take for example Rev. Giles Fraser’s parish of St Mary Newington in Southwark. Giles often talks about the level of deprivation around him in his Guardian articles and looking at the figures you can see that he’s not wrong – his church is in the top ten per cent most deprived areas with high levels of child and pensioner poverty. The Poverty Look Up Tool isn’t going to solve anything, but it is a helpful resource allowing you to gauge an understanding of the situation geographically around you, and even if you live in an affluent place, chances are that you won’t have to travel too far to find areas of poverty if you look hard enough. Poverty of resources – when people lack sufficient resources, such as income, skills, qualifications or health, to achieve a good standard of living. Where resources are limited, so are people’s choices and opportunities. Poverty of relationships – when people lack the strong and supportive relationships on which individual, family and community life are built, resulting in loneliness and isolation. Where relationships are under pressure or where communities are fragmented and hostile, it is difficult to thrive in human terms. Poverty of identity – when people lack a strong sense of self-worth and a belief in their own ability to respond to challenges. Where these are missing, it can lead to low self-esteem, a lack of well-being and aspiration, poor mental health and even drug and alcohol misuse. This gives a better understanding of the nature of poverty. These issues are complex and closely interlinked, trapping individuals and whole communities. The CUF considers this in detail in their Web of Poverty report. An example of this interconnectedness was given on Wednesday in the government’s Education Select Committee report that found that poor white youngsters are ‘consistently the lowest performing group in the country’. For anyone in teaching this will come as little surprise. I’ve taught enough children from this group to know that a significant number have little interest in educational attainment or the value of their education and often their parents will encourage that attitude. They may be financially poor but when a poverty of ambition and aspiration is coupled to this, the chances of them working their way out of their situation will be minimal without a change of mindset, even if their financial circumstances improved through increased welfare support. From a Christian perspective the concept of too much compassion being detrimental is something that appears counter-intuitive and un-biblical. The Bible talks about God being gracious and compassionate, slow to anger and abounding in love. Christians are repeatedly told to be continually generous to others and especially to the poor. Instead of talking about deliberately limiting compassion, perhaps a better term would be ‘intelligent compassion’. Genuine compassion is surely something that we can never have enough of, but there is a potential for both good and harm to be done as a result depending on the way it is implemented. Sometimes our well-meaning actions can have unintended and undesirable consequences. For example, overprotective parenting, which is rooted in the care and safety of a child has the potential to stifle their development and ability to think and act independently. Churches have limited resources and it is still amazing how much they achieve through their members to bless and serve others. There is widespread poverty in our towns and cities and many churches are already doing a great deal to address this. Calls to renew these efforts run the risk of turning action through compassion to action through guilt and pressure, which is always demotivating and leads to resentment. Where churches need to consider moving forward is going beyond addressing immediate needs as is the case with foodbanks, to include work that aims to help those in poverty to improve their situations. The saying goes, ‘Give a man a fish and you feed him for a day. Teach a man to fish and you feed him for a lifetime’. Churches have a role to play reaching into the places where the state can’t or only does so with limited effect. For churches to do this well they need to apply intelligent compassion. Churches aren’t in a position to fix people’s financial needs long-term, but there is certainly more that can be done of benefit than giving out a handful of days worth of food. The rise of foodbanks has been an incredible and timely phenomenon. In many ways this is the churches working at their best. However, sticking just with foodbanks should never be seen as the church’s great response to poverty in the UK. With God’s strength and wisdom, the energy and obedience that has caused the rapid spread of foodbanks needs to be turned to ways of bringing people out of poverty in the wider sense of the word. We’re seeing this already in many places with debt counselling, jobs clubs and other initiatives. This is about quality more so than quantities. Jesus deliberately didn’t visit and preach to everyone. He did what he could and what he knew to be right. Churches need to hold on to that same attitude; allowing the compassion that ultimately comes from God to drive their work whilst at the same time using the resources available to have the greatest impact on the lives of those they engage with. Have we shut out the poor from Christian festivals? Galbraith could be quoting Isaiah 31: the knaveries of the knaves are evil; he devises wicked devices to ruin the poor with lying words, even when the plea of the needy is right. That you acknowledge the existence of food banks is a major plus – unlike your party who don’t – why is that incidentally? Rather than knavishly attacking the poor, why not attack the system that requires inequality to generate the profits your party leader believes is holy? Your party (using tax payers money) are engaged in fighting the Robin hood tax which the EU is keen to implement, are supporting the TTIP agreement which will (almost certainly) ensure American style health care takeover of NHS so that, as an American commenter reported, a husband shoots himself when he finds he has a long term illness rather than drive his family into bankruptcy for his health care. The fault is not the poor. You really don’t understand how capitalism works, do you? Consider the present experience of China, where wage rates are rising at 20% a year in the most prosperous areas: see http://www.economist.com/node/21549956 The fact that some get very rich doesn’t detract from the reality that ALL are getting richer, and that absolute poverty is disappearing at a remarkable rate both in China and across the world. The allegation that TTIP could undermine the single payer / free at point of demand principles of the NHS is pure scare mongering. It might force the privatisation of the supplier side of the NHS – but given that that is heavily privitised already (most GP surgeries are private partnerships) and that being public sector hasn’t prevented the recent scandals in the NHS, there’s no reason to be committed to that as the means of provision. Sorry, so how does Capitalism work? It’s truest nature is more evident in the past than today, I’ll grant you that, but only because it’s more violent nature has been tamed in the first half of the 20th Century, but is now being let loose again by the elites, hungry again for more blood at their altar to Capitalism. In the past it could kill (at least) 2 million Africans to service the Slave trade; gun running (http://www.independent.co.uk/news/science/archaeology/historians-reveal-secrets-of-uk-gunrunning-which-lengthened-the-american-civil-war-by-two-years-9557937.html&gt; ) ;Drug dealing (East Indian Trade Company)..
No, I think I know how Capitalism works. Its truest nature is all about violence to both people and planet; it justifies its actions with the help of economists – a priesthood in reality – which one professor of said priesthood opines is more hocus pocus than anything resembling a science – a priesthood that has to buy its Nobel status; that recently awarded a Nobel prize to two mutually contradictory studies; is never accountable however wrong they are (financial crises are always unforeseen-why? )…a more knavish profession its hard to imagine! The Astronomer Royal, gives us a 50% chance of surviving this century partly because of increasing global inequality along with terrorism and climate change. Your vision of increased prosperity for all is at best just wishful thinking. You really oversimplify things. However, if you want to start somewhere….. The best predictor of family poverty is divorce. Don’t confuse our leftist brethren with embarrassing facts like that – they’ll only get sniffy and accuse you of being judgemental. As ever, a highly partai and largely secular analysis of the problems, rather than an attempt to see that the church needs to do its real job – which is to call people to repentance – in the belief that if they start to live as true disciples of Jesus, they will tend to sort themselves out. Instead we prefer to be ‘non-judgemental – and are then surprised when the sticking plaster leaves the wound uncleaned. Of course the real problem is that the leadership of the CofE doesn’t really believe that God will make a difference in lives, but needs some excuse to continue in their exalted status – so they find fashionable topics to pontificate about to give themselves a sense of being ‘relevant’. Meanwhile God still calls us to feed the poor, give the thirsty something to drink, and clothe the naked.It’s not a matter if either… or…, but both…and. Matthew 25 is an interesting chapter; we only ever hear the parable of the sheep and the goats, but the same punishment is handed out to those who are unprepared with oil and fail to develop their talents. It is easy to do the politically correct, right on stuff like feeding the poor and campaigning on the latest fashionable issue (this week: people trafficking, last week climate change, before that jubilee campaign etc.) The reality is that many churches do zero evangelism because they are so caught up in other stuff. Both / and is good – but it seldom happens. Unfortunately David Cameron would like them to be the answer to poverty. His government’s policies have created so much poverty,& Food Banks would save them putting right so much of the damage they have done. Really? How so? The economy was in free fall after 2008. There is a technical debate as to whether it was possible to do a Keynesian expansion to reverse the slump – but the example of France in 1983 should remind us that such a route tends to end in tears. So what policies are you referring to? Cutting welfare? Given that expenditure has increased, that doesn’t really fly. Bedroom tax? Maximum benefit cap of £26,000? All marginal effects. There was a need to cut government expenditure – which is still ridiculously out of line with the tax take. Foodbanks have revealed a problem – but the claim that the cause is government policy is hard to justify – though please do try. And what pray is a Christian perspective? In Pre-Reformation Catholic Europe, the poor were seen as blest by God – ministering to their needs was something that was beneficial for the ‘giver’ – a means of lessening one’s time in purgatory: hence charity had a self-interested element. Chalmers in the early 19th century saw poverty as a test from God – and (heavily influenced by Adam Smith) that the very limited state welfare of the time (The Poor Law) as an interference in the Market –his ‘Christian perspective’ was that good moral behaviour generally meant people wouldn’t become poor (an idea echoed by Luke Bretherton at present). A Christian Perspective in the USA – particularly the powerful religious Right, is that poverty is likewise often a result of life style choices and the government should not be helping the poor. In the USA there is a punitive welfare system and a heavy reliance on faith-based and other voluntary service – it is also a society with considerable church attendance and a greater voice for Christianity in politics and civil society – yet it leads the Western world in the division between rich and poor (as did Britain in the 19th century when the churches were full and the Bible well known). So what is a Christian perspective? If we look at history or the more Christian societies in the world then it is a greater division between rich and poor. 3 quotes to get you started! “John Steinbeck wrote his masterpiece The Grapes of Wrath at the age of 37 in 1939, at the tail end of the Great Depression. Steinbeck won the Nobel Prize and Pulitzer Prize for literature. John Ford then made a classic film adaption in 1941, starring Henry Fonda. It is considered one of the top 25 films in American history. The book was also one of the most banned in US history. Steinbeck was ridiculed as a communist and anti-capitalist by showing support for the working poor. Some things never change, as the moneyed interests that control the media message have attempted to deflect the blame for our current Depression away from their fraudulent deeds….